Available Nationwide, Chase Sapphire Checking is offering you a 60,000 bonus points when you open a new banking account and meet specified requirements. Below is all the information you need to earn your Chase Sapphire Checking Bonus! In addition to the current promotion from Chase Sapphire Banking, you can also take advantage of a range of great promotions from banks such as HSBC Bank, Chase Bank, Huntington Bank, Discover Bank, TD Bank, BBVA Compass Bank or CIT Bank. 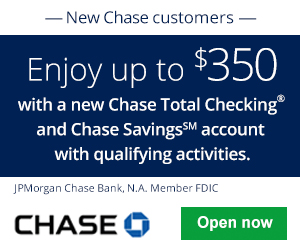 To earn your Chase Sapphire Checking Bonus, simply open a new checking account and meet the specified requirements. Chase SapphireSM Checking: If you are interested in this offer, apply today! 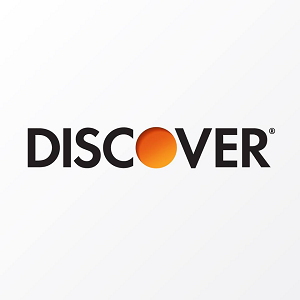 Be sure to also check out our list of Chase Coupon Codes for more great deals from Chase Bank! Open a Chase SapphireSM Checking account. Deposit money into your new account, Within 45 calendar days, transfer a total of $75,000 or more in qualifying new money or securities to a combination of eligible checking, savings and/or investment accounts, and maintain that balance for at least 90 days. Enjoy your 60,000 Ultimate Rewards bonus points. 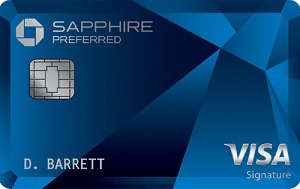 Within 45 business days of completing the requirements, the 60,000 bonus points will be added to your Chase Sapphire card with Ultimate Rewards. The $25 Monthly Service Fee can be waived when you have an average beginning day balance of $75,000 or more in any combination of this account and linked qualifying deposits/investments. 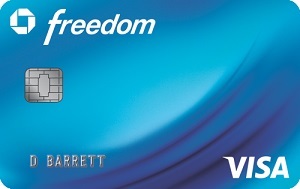 No ATM fees worldwide. Down the street or around the globe. Invest for free. Commission-free online stock and ETF trades with You InvestSM by J.P. Morgan. Perks that add up. Relationship rates, special access and help when you need it. Chase Sapphire Banking is offering a generous bonus for people nationwide. Simply meet the requirements stated above and you will be able to start your new banking experience. Additionally, the fees are easy to waive. How great is that? Furthermore, you will receive the best customer service the bank has to offer. Let us know in the comment section below on your thoughts and experience with this bank! Be sure to check back on BankDealGuy for more bank promotions!